Do you want to know who is at your door without being opened? Watch, listen and talk live with the person standing in front of your door with the WiFi Smart Doorbell. With the handy app you always receive a notification when someone calls you whether you are at home or outside the door. You can communicate with the visitor via the app and see him immediately. Is this electronics action of the day something for you? Then claim your discount today! The camera is equipped with night mode, so you have up to 8 meters clear image in the dark. With a micro SD card images of visitors can be recorded and you can always look back. 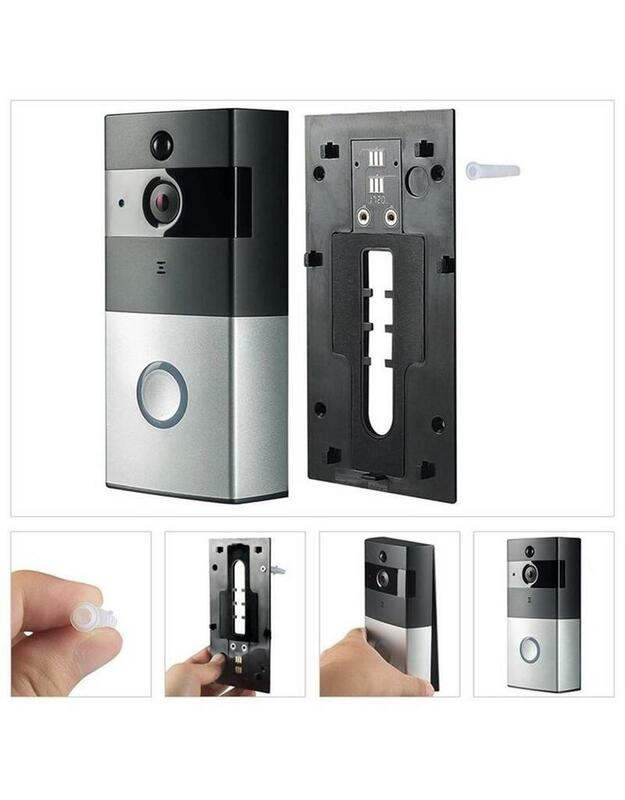 The camera has a 100 degree viewing angle in HD quality so you always have the guarantee to see who is at the door. The images can be viewed via the app on your smartphone or tablet. Thanks to the built-in microphone and speaker you can not only see who is at the door, but you can also easily communicate with the person. For example, it is easy to say that you would rather not have your package delivered to the neighbors.